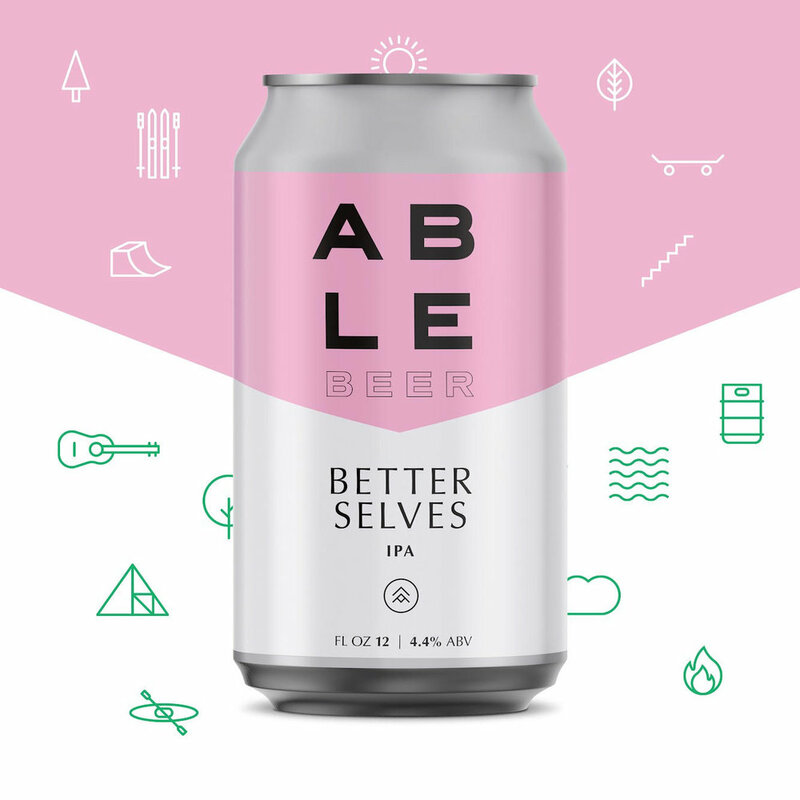 // B E T T E R S E L V E S// \\ L E T S P A R T Y //Come hang with us to celebrate the release of our newest addition to the Able beer family. The party starts with us tapping Better Selves at 6pm with live music to follow from Mike Munson and Big Lake (and friends). Chow down on some of the best BBQ in the Midwest courtesy of our friends at ANIMALES. We will have a live art install during the event for all guests to get in on! A soft, unfiltered, tropical IPA, made with white wheat, oats, and large additions of Idaho 7, Ahtanum, and Bravo hops. The adjunct heavy malt bill will give this beer a soft, silky character, while the mostly-late hop additions keep the IBUs low, but pump up the tropical, citrus, and fruit aromatics. The slight residual sweetness on the finish really exists to brighten the big hop flavors.